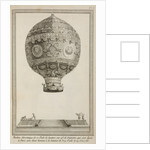 Scene showing a decorated balloon in flight at Faubourg Saint-Antoine, France, on 19 October 1783. 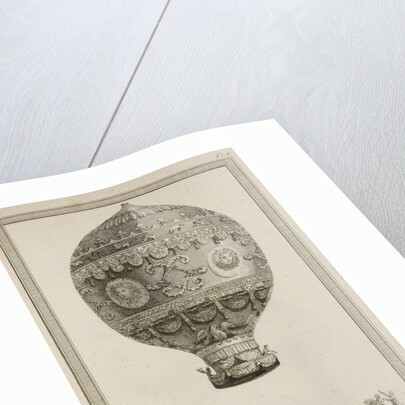 The balloon has a gallery or gondola for two passengers. Below can be seen a stepped platform with onlookers. 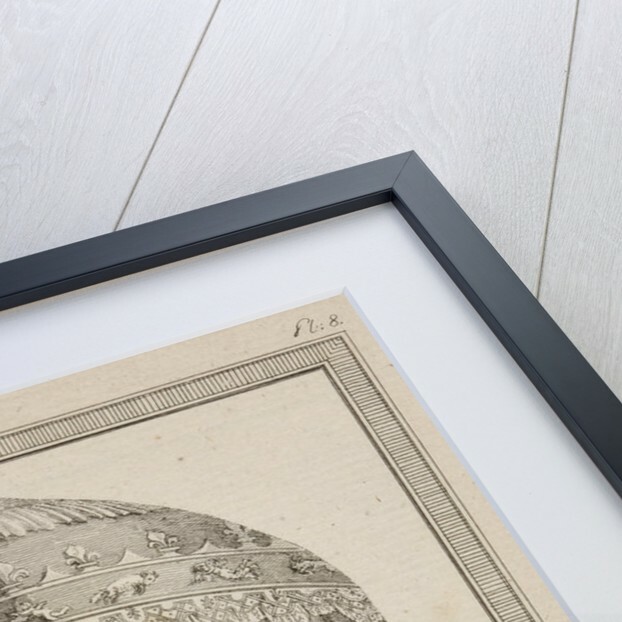 Plate 8 from the book Description des expÃšriences de la machine aÃšrostatiques de MM.de Montgolfier, by Faujas de Saint-Fond (Paris, 1783). 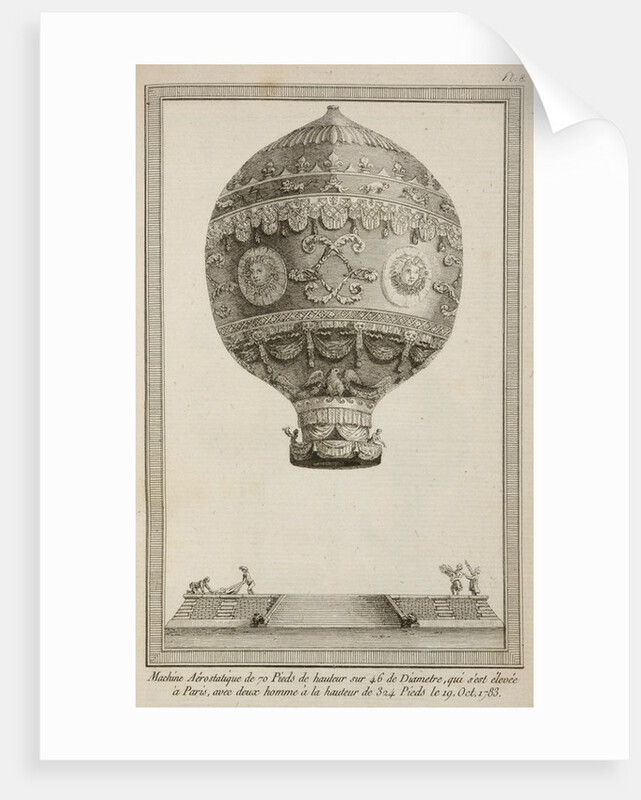 According to textual notes this balloon reached a height of 324 feet on the third in a sequence of flights and carried two aeronauts : Jean-FranÃ¾ois PilÃ”tre de Rozier (1754-1785) and AndrÃš Giroud de Villette. 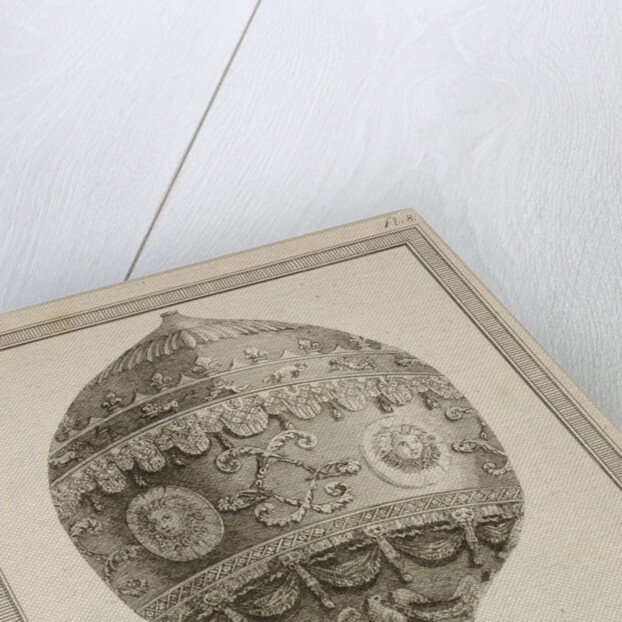 The launches took place near the home of Jean-Baptiste RÃšveillon, (1725-1811) a French wallpaper manufacturer who decorated the balloons of the Montgolfiers brothers, including this example.